A stand out dagger that looks like no other, our Sacred Flames Dagger with Scabbard features vibrant blue and gold colors and is a great blade to satisfy your unique fantasy cravings. This stainless-steel dagger is a one of a kind display weapon. The winged guard features a yellow diamond at the center and there are crisscrossed blue lines around the grip. This blade has a unique triangle design and a notched pommel. 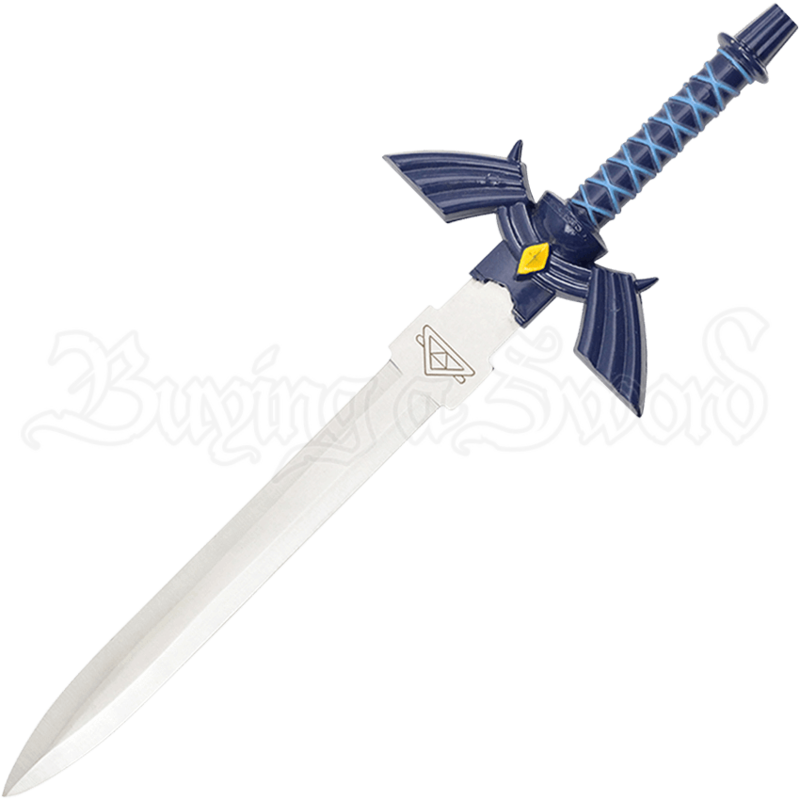 Included with this dagger is an ornate blue and gold accented scabbard. This decorative weapon will pair well with the rest of your fantasy home decor and is the perfect companion blade for the next time you imagine saving a princess.